2nd Tryouts Monday November 19th 7:15 pm at Barry Goldwater HS 2820 W Rose Garden 85027 We are at the 101 and 27th ave. We are in the small gym. both received first team of their conferences. Both are Seniors. McKenzey Beck's team won their confernce Peach Belt Conference and she won MVP of the Conference Tournament. Way to go girls!! If you are needing a home to play we would love to have you!! The coaches could move depending on who comes out and what teams we have. You will need paperwork that is found on registration page and you will need payment of $400. If you pay upfront you will receive $100 discount. UVC is committed to providing a love and knowledge of the game but also life skills. We want to help develop Character, Leadership, Communication, Athletic Ability, and Teamwork and to Compete to the best of their ability each time they set foot on a court and out in the real world. We May be a small Club but we are Big in Performance and Character!! we had 3 teams this season and two of them finished in silver for the season and the other moved many spots up as they had a lot of new girls to club but grew a ton! Our teams did us proud!! 17's took 1st in first tournament of season. during season and every tournament our teams battled !! WE are VERY PROUD of each player and what they brought!! Our 4 teams at Phoenix volleyball Festival downtown. McKenzey Beck at Augusta Georgia Univ. for 2017-18 season Just was named Player of he week in the PBC. Also All Tournament team for 2 tournaments and consistently is getting triple doubles in hitting, assists and digs. Congrats to Coach Beck for her HS team making it to state playoffs 2016 season! What you need to do before tryouts! 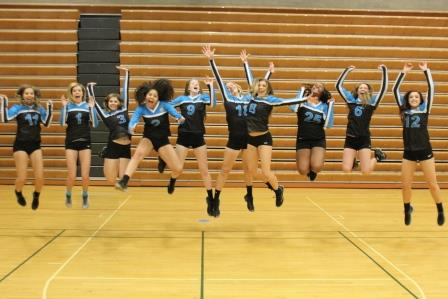 Go to the AZ region website: http://www.azregionvolleyball.org/info/join.html and register your daughter(s). Scroll down and see what information applies to you. To register it will cost $50 . When you make a team $400 is due, as well as your size for uniform package and all paperwork that you will find on the registration pagae. The next payment is not due until January. More info available on the Information page of this site. We do accept credit cards for payment but there will be a an extra fee. We will also be offering clinics. example setting, OH, defense etc. We believe at UVC that volleyball is not just to provide a love and knowledge of the game but is a tool to teach life skills. 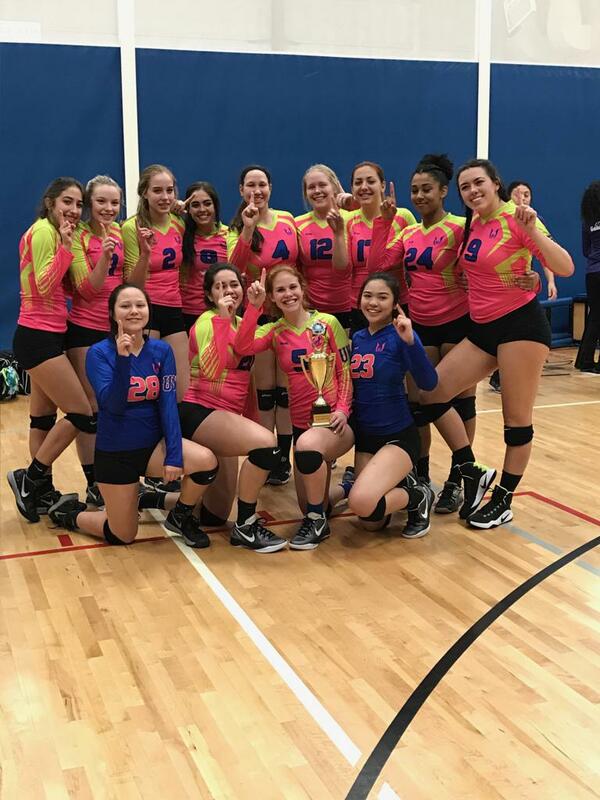 We take pride in each girl and want to help develop Character, Leadership, Communication, Athletic Ability, Teamwork, and to compete to the best of their ability each time they set foot onto a court. ©2019 The Ultimate Volleyball Club / SportsEngine. All Rights Reserved.